I have been a photographer since the early nineties when I started out as a wedding photographer. That worked out pretty well for me for about 12 years, but it was exhausting work and when wedding work no longer made me happy, I stopped completely and rented a studio in the Northrup King Building in the NE Mpls Arts District. I've been there since about 2005 and currently share a studio with painter Megan Bell Honigman. Right now I am working on something completely different from past years. Until recently, I had been working on abstract nature images -- close-cropped shots of tree branches or weeds, using a shallow focus to draw the viewer into the details of the subject so that the images become more about patterns and shapes than the source subject. Crabapple trees were my favorite subject. Now, I am working on a project where the subjects are mannequins in storefront windows. Portraits, mainly headshots. Most of the mannequins in store windows do not have heads, or, if they do, they have heads that are head-shaped, but not meant to fool you into thinking that they are life-like. 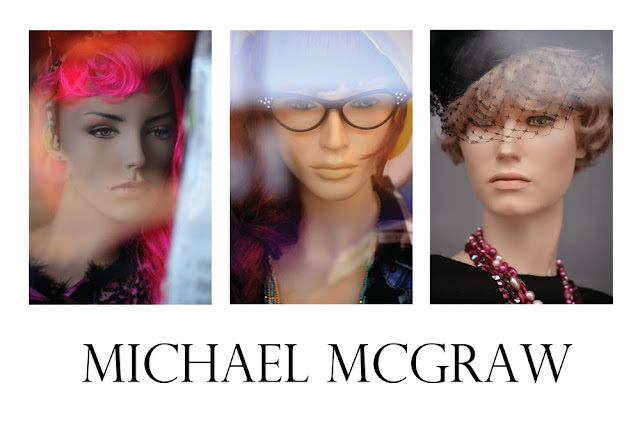 Mannequins with wigs and human-ish features are rare, at least in the twin cities. There are about five or six places in the metro area that have the life-like mannequins I am looking for. Thank you Via's Vintage, Ragstock, and Lickity Split for putting some effort into your window displays! 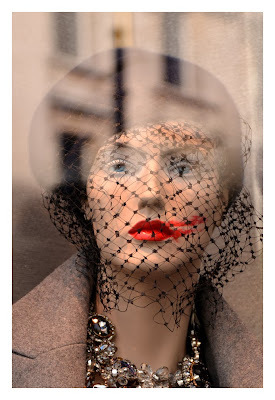 I recently took a trip to London where they seriously put a lot of effort into lifelike mannequins and window displays. What was most interesting to me about the differences between London displays and Minneapolis displays was the difference in how hi-end the stores were. Here, the stores that use lifelike mannequins are Ragstock and American Apparel, in London it was Chanel and Versace. 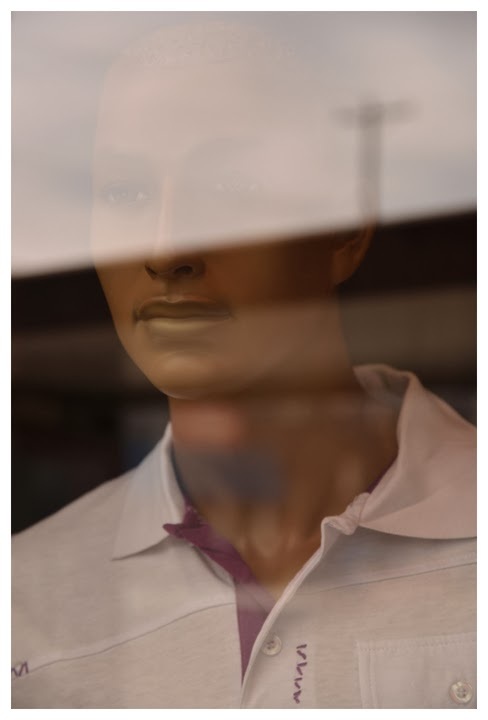 With my local subjects, since I go back to the same few places every week, weirdly, each mannequin becomes like a friend. From how they are styled they seem to have unique personalities and I've come to imagine whole lives and back stories for them. Sad stories. From their blank expressions, I imagine that they have "settled" for work in the window displays, that they have run out of other options. I imagine that since they never acknowledge me they are trying to keep their distance from everyone. So I try to respect that and always show them in the most flattering way possible. That's hard to say. I'm mainly self taught, so I haven't had a lot of those feedback opportunties I would have had in school, but if I was giving advice to someone else it would be to create work that resonates most truly with yourself, regardless of trends or what other people tell you. Now this might not translate into sales or exhibit opportunities, but at least your art will represent the real you. Then, I would recommend that you learn the business and marketing side of art. This is something I haven't really figured out, but there are certainly a lot of people making a living making art so you might want to ask them. I sell my work mainly through my studio (Northrup King #274) where people can see framed work on the walls and meet with me and ask questions. Most of my sales are commissions where people want a certain image but in custom size. Art-Attack and Art-a-Whirl and the Fall and Spring open audio events in NE Mpls where thousands of people come out to see and buy local art. 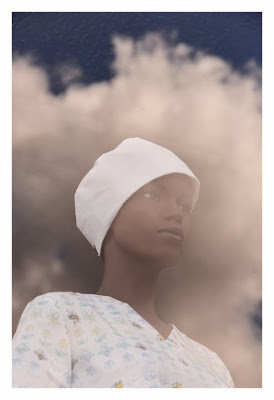 I use my website, Facebook (Me), and my blog to get my new work seen. You can email me for custom prints. SooVac Gallery, Walker Art Center and the MAEP Gallery at the MIA. These are my usual first stops. Having to answer this question reminds my that I need to get out more. There are so many galleries in town. Maybe today I'll get to Circa Gallery and Gallery 360. I haven't been to Instinct Gallery yet, so we'd go there, too. I am showing in January 2014 at Altered Esthetics in NE Mpls for "Remasterpiece". 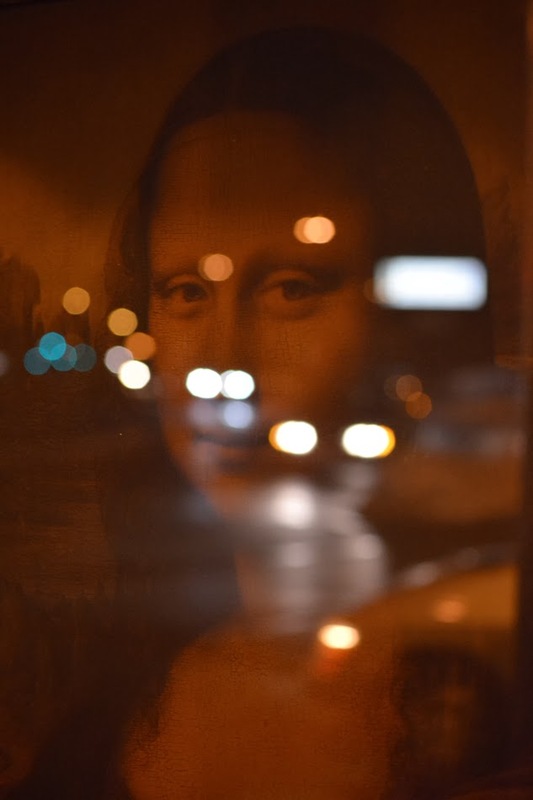 I have photograph of the Mona Lisa that I found in the window of a Robbinsdale second hand shop. 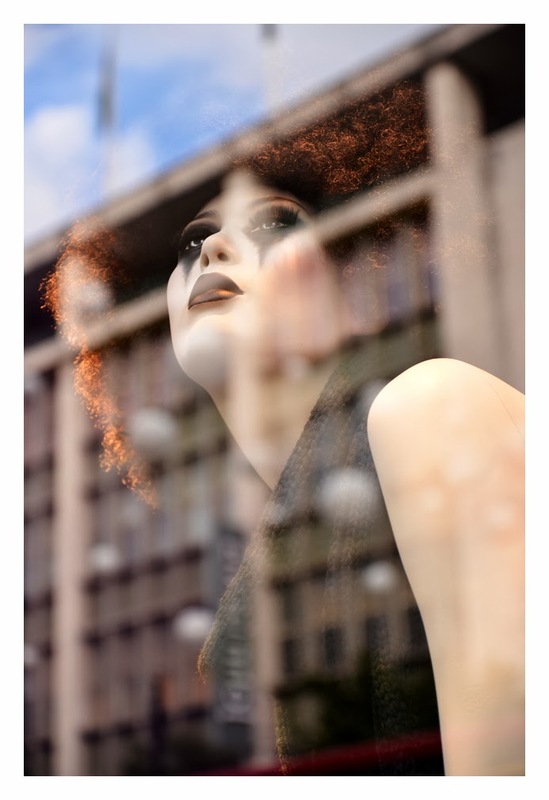 The window reflects car headlights which make a brand new set of nostrils for her. I can't wait to see what else is going to be in this show. The opening is Friday, 1/3 and the show runs through 1/30/14.